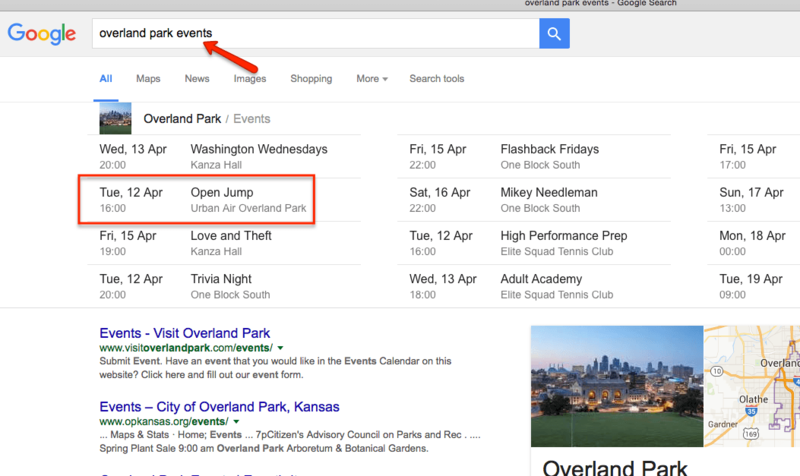 Have you ever seen those event listings in the search results and wondered how you can get them? Do you organize events, either online or offline that you want to give extra exposure? Do you want to get more clicks, more visitors, more business by easily promoting your events? Want to know how I did it? Read on for step-by-step instructions. FREE implementation: Google to the rescue! Depending on the platform you’re using there are a number of solutions. In case you’re using WordPress there are many plugins (both free and paid) to choose from, in order to get events in the search results. In most cases, you’ll have to pay for solutions which connect to Google Calendar. How about a FREE solution, using Google’s own platform to generate the required code to import in your website to show the events from one or more Google Calendars? Create (or assign) a Google Calendar, dedicated to your online events list. Open Google Script Editor and copy/paste the code from the bottom of this blog post. This might sound more difficult than it actually is. Don’t worry, let me take you through the steps, one step at a time. You’re then shown a window with the “Current web app URL”. Copy it to the clipboard and paste it in a new browser window. If you’ve performed all steps correctly, you’ll see the events code, which you can embed in the source of your PHP template(s). In order to get the events embedded in the source code of your HTML-code, you’ll most likely need to modify the PHP template(s) of your CMS. Since WordPress is the most widely used CMS, I only focus on WordPress from here on. But for any PHP-based CMS, the solution will be quite comparable..
Once you have the events listed on your screen in the previous step, create a custom field named “eventlisturl” in the page you want to have the events listed in the search results. Copy/paste the URL from your browser into this custom field. NOTE: Make sure that you DO NOT USE the “Current web app URL” shown in the Google Script Editor, as this will NOT WORK! The custom field “eventlisturl” is set to the URL that you see when you view the script in your browser in step 6 above. While any location in the code will be fine, I advise to place the code in the footer, just before the closing “</body>” tag. There you have it. Follow the instructions above to get your events listed in the search results. I hope this solution is useful for you. If you have any comments or questions, feel free to post them below and I’ll do my best to reply to them. Eduard started with hand-coding websites in 1993 and became immersed in SEO, reputation management and content marketing in the years thereafter. After almost two decades Eduard is still following his passion: consulting and helping companies to profile themselves better. Eduard is also a certified Google Maps Business Photographer. Thank you, Harald. Glad you like it! So complicated; you’d think they’d make it a little bit simpler. Thanks for sharing, Eduard! This is excellent actionable advice. I’m going to give it a try today! the following code replaces step 5 above. 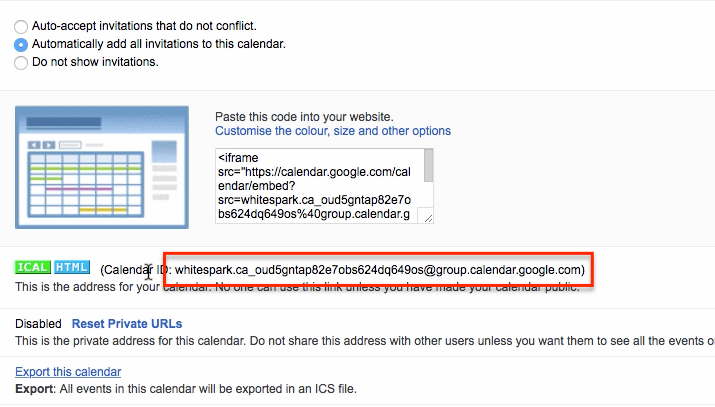 the url inside the $(‘#loader’).load(‘your url goes here’); is the calendar’s unique url as stated in step 4.
and Eduard… ask Darren about gravatar. @Noah: when Google Structured Data Testing Tool isn’t seeing the events, they won’t get indexed. @Wesley: I tried to make it as easy to follow as possible. If anything is unclear, feel free to ask. @Kevin: thanks! Did it work for you? Thanks for sharing this articIe! Very useful! Any thoughts? I put in the correct ID where the hashtags were…what am I missing? Did not work for me what am I doing wrong? This is a bit vague, so I don’t know what could be the issue. If you want you can contact me to see whether I can help you out. I AM HAVING THE SAME EXACT PROBLEM. Tried to troubleshoot to no avail. Wish I could get this to work! Hi Shanti, this solution is typically tailored to WordPress, as it’s by far the most use CMS on the planet. I don’t have experience with Wix, sorry. So I can’t say anything valid about that. Would have to look into it, to find out. I would have to see the exact code you’re using. Feel free to reach out to me and I will see whether I can solve it for you. Thank you for taking the time to post all of this information, as I run an events directory I am keen to implement. HI, the script that generates the events from Google calendar, only outputs 7 events . I thought changing this line –> for (var i=0 ; i < events.length && i < 7 ;i++) to <21 for no. events 21 ?? 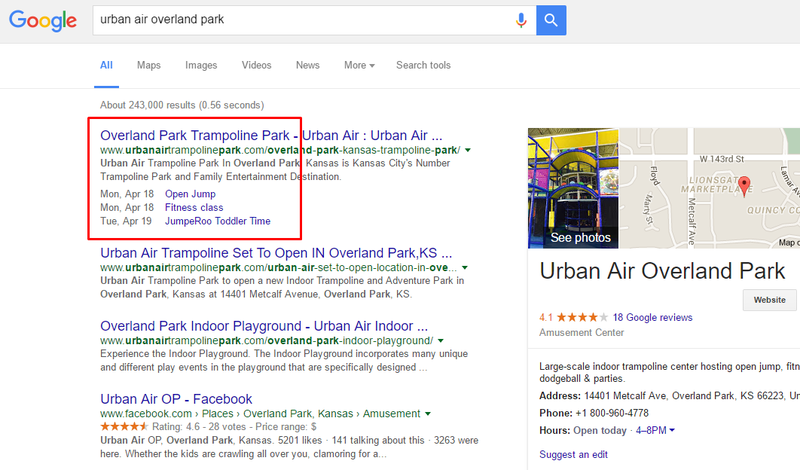 I choose for 7, as Google is only showing a maximum of 3 events in the SERPs. So, having a few more ready for Google would most likely cover the time between two visits of Googlebot, I found out. So, why would you like to have 21? It would only mean overkill in the HTML source and a potential waste of bandwidth. thanks for the reply Eduard, We are a nightclub and we have events that people might want to purchase tickets for at least 2-3 months in advance, which is why I want events displayed in Google search that far ahead. typically we post 2 months of events on our website /FB etc…. which is why I want calendar events with at least 21 events etc…. but you are saying is that Google index won’t display that many calendar events anyways ?? 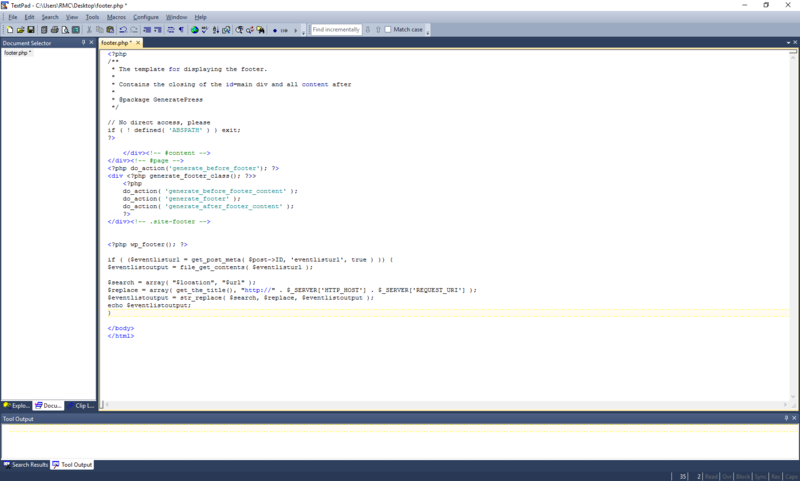 Yes, it will embed the 21 events in the code. Nevertheless, Google will ONLY display 3 upcoming events. urlA value for the url field is required. any advice on this one ?? and uploaded the page to a server I got the Google login page (One account. All of Google. Sign in to continue to Google Drive.) I got this even if I was viewing with the same Google acount as I had used to create the script. This pretty well makes your script unuseable – do you have an update, fix or workaround? Further to my last again I used a different calendar and am back to the code displaying the goole login page! Please help? I think we’d need to get on a Skype call, so you can share your screen. Because trying to troubleshoot through these comments here, seems a bit too cumbersome. I’ve sent you my details per mail. Hi Eduard. Thank you very much for coming back. I unticked the ‘make calendar public’ box and saved then ticked it again, saved again then generated the code and it seems to be ok! I will let you know if further problems. I’m trying to do this for my website which is html/ css so cannot use the php code. Could you let me know if there’s a way that I can adapt this step for html? Thanks so much for this guide! This is going to be super helpful. I have created the custom field and am about to add some PHP code to the footer.php. Do I have to change ANYTHING about the bit of code you provide? The problem is that you don’t have the PHP code tags around your piece of code. That is why it is being displayed as text and not executed as PHP code. Google is now enforcing more rules before your events appear. Actually, they now also require the events to be shown on the page in regular HTML. Hi Eduard! Thank you for this great article! I followed everything perfectly up to the click on “deploy”… I copied the code, but I don’t know what php is or where to find it to paste the code I copied? Sorry I’m new to this! I have tried several times to implement this development on a WordPress site. Finally I see my events on Google Search, but sadly the URLs does not work pretty. When I see the code it gets the same url to all the events with php code on the footer. I mean, if a create several events on google Calendar and the code of the footer replace $url variable with the live URL of the post, all events get the same URL. There is any way to solve this? These are optional, can we safely leave them or can te script be edited easily to include them? Hello! I’m new on creating public events and manage some pages…. and I’m so happy and grateful that you had spent your time in creating this detail process and share your knowledge.